DESCRIPTION: A large grouper (up to 4ft). Either white with four black irregular saddles or reddish/greenish brown with black-outlined round blue spots. RANGE: Indo-Pacific. East Africa to French Polynesia. All of the fish pictures on elasmodiver.com are copyright protected. 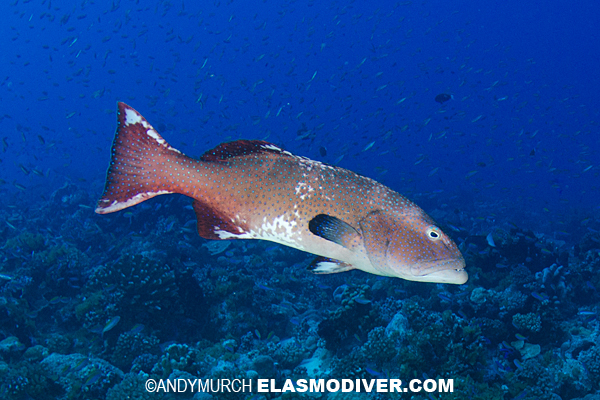 No unauthorized use of these Blacksaddle Coral Grouper pictures is permitted. Please contact Elasmodiver for further information.